Two great performers combine to create this sensational Carpenters tribute act. 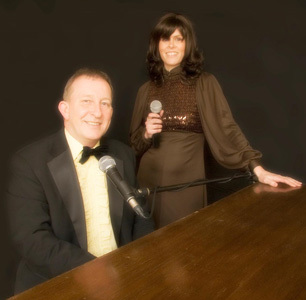 For many years Karen Barnett has been performing solo as a tribute to Karen Carpenter. Following a chance meeting in 2009 with pianist/singer Mick Rose they teamed together to form 'PORTRAIT  A Tribute to the Carpenters'. Both are highly experienced professional performers in their own right. Together, as 'PORTRAIT  A Tribute to the Carpenters' they have appeared in venues, large and small, all over the UK. From small clubs to large theatres, from holiday parks to massive festivals including an appearance on the main stage at 'TRIBFEST', the UK's largest tribute festival, performing to great acclaim in front of 5000 enthusiastic festival goers!